People aren’t always trustworthy. Left to their own devices, they’ve been known to “steal time” for themselves even when they’re “on the clock” with their employer who is paying them to work. That said, today’s technology offers GPS vehicle tracking that can save companies money and help keep employees on the straight and narrow. Employees should be accountable to their bosses. With a GPS tracker attached to a company vehicle, this is one way to know for sure where employees are going during their work hours. Are they where they’re supposed to be or are they heading off the proper path? A GPS tracker helps make sure employees aren’t using company vehicles for unauthorized purposes. Furthermore, GPS tracking helps make for accurate employee time sheets. Bosses can also monitor how much time employees spend in certain places, and if they’re taking too long at particular stops, they can be advised to hurry up next time. This can lead to more efficient workers and fewer customer complaints. Companies that want to save money on fuel costs should look into GPS tracking systems for their vehicles. Having a GPS tracker not only improves route efficiency but can also cut down idling times and minimize mileage because “the nearest vehicle” can be dispatched, saving time, money and gas. Vehicles with GPS systems are often able to receive insurance company discounts. And, because they keep good track of mileage per vehicle, that factor assists in knowing when to have them routinely brought into the mechanic’s shop for preventative maintenance. Utilizing GPS tracking systems, a company can know where all of its fleet is in real-time. Routes can be analyzed and new ones can be implemented in order to save wear and tear on vehicles– shorter routes can be found. NYCONN Security Systems offers GPS vehicle tracking so you can view the location of all of your vehicles. NYCONN’s service can include “click-to-locate” options for on-demand mapping or periodic location reporting, depending on your needs. Furthermore, e-mail notifications can be sent for over-speed violations as well as alerting overseers when a vehicle enters or exits certain alert zones. Even something simple like whether the vehicle’s ignition is currently on or off can be transmitted to the powers-that-be. 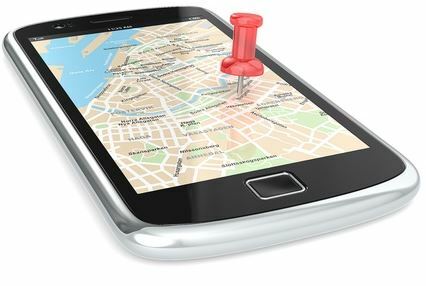 Serving New York and Connecticut, NYCONN can be reached at 1-800-783-5004 for more information about GPS vehicle tracking services. ← What is a Low Temperature Freeze Alert Device?